Is it Safe to Fly In & Out of JFK? The question of whether it is safe to travel in and out of JFK is a serious question. The only possible way to get government to be competent is to simply boycott JFK. 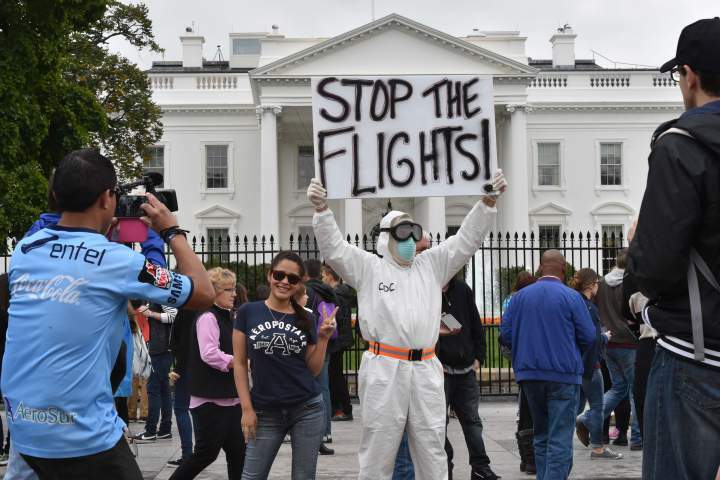 Homeland Security pretends to protect American’s against terrorism, but they are incompetent to comprehend that instead of a bomb, just send as many people with Ebola as possible and you will do a far better job. A passenger died on a flight from Nigeria to JFK vomiting. They have exposed the entire crew and passengers to that threat, then the entire airport. Government workers are NOT the brightest bulb in the shop. Let’s get real here. If they were competent they would work in the private sector. If people refused to fly out or into JFK until they ban all flights, then and only then will the airlines demand that Homeland Security actually do something here. That appears to be the only way to get these morons to verify what is going on.